If you're a light sleeper, like me, you know how important it is to have everything just right before you shut the lights off: earplugs in, sleep mask on, room at the perfect, cozy temperature. But I can never quite seem to get comfortable, largely because of my pillows. They're always too soft, or too hard, and I always seem to have one too few. Further complicating things, I'm also a side sleeper with chronic neck and back pain. 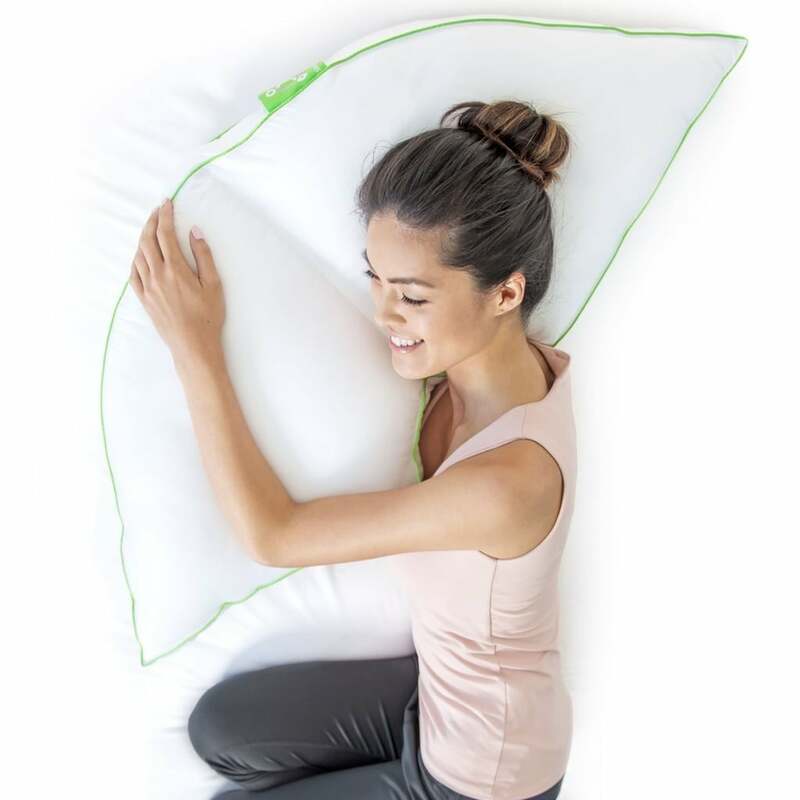 However, there may finally be an answer to my bedtime dilemma: the Side Sleeper Pillow ($60, originally $80) from Sleep Yoga. The pillow's winged shape allows it to serve as both a pillow and an armrest, reducing painful slouching. There's even a notch that's designed to perfectly cradle your neck. It's also hypoallergenic and machine washable. Basically, it's my dream pillow. 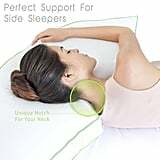 Reviews on Amazon have described the pillow as "a very comfortable pillow for side sleepers" and "the best side-sleeper pillow ever." 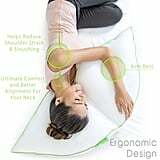 One devotee even went as far as to write, "this pillow has come through and saved my life," after living with chronic neck pain. 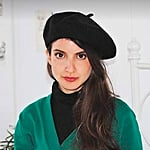 Ahead, check out more photos of the pillow in all its ergonomic glory — like me, you might be tempted to take it for a spin.